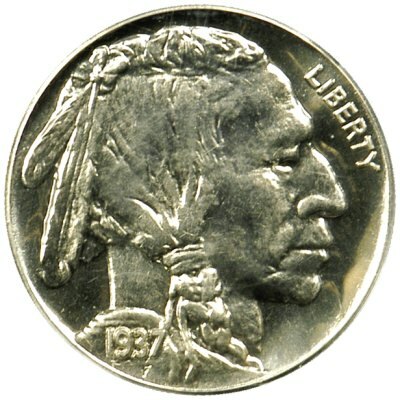 Description: Lot # 1817 Bowers and Merena March Baltimore 2007 Auction 1937 Buffalo Nickel. Proof-67 Cameo (PCGS). Lot Information Current Bid: $8,165.00 (amount with BP: $9,390.00) Current Time: 4:42 PM PST. 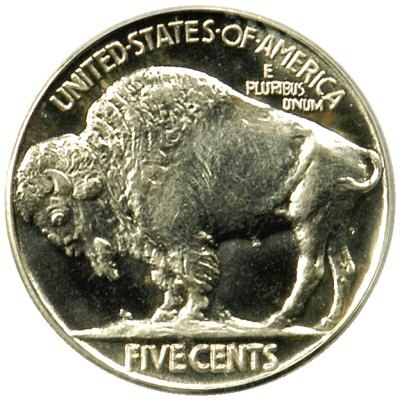 Description: Ranking at the very pinnacle of the PCGS Population Report for the issue, this Superb Gem Proof CAM 1937 Buffalo Nickel will find a veritable host of interested parties jockeying for position come auction day. We say this not simply because of its conditional elusiveness (its population at PR-67 CAM is 5/0), but also because of its absolute rarity as well. To wit: while the original proof delivery for the year stands at 5,769 pieces, a grand total of 9 specimens for the date have been awarded the CAM finish by PCGS. However, this coin is not just technically satisfying, however, but aesthetically attractive as well. The ice-white colored surfaces are essentially free from the faintest whisper of toning. The devices and legends were impressed with an astounding degree of clarity, and the obverse and reverse are free from all but the most trivial of handling marks. Surely headed for an elite collection, and worthy of a premium bid as such. PCGS Population: 5/0. PCGS# 83996.